At 3pm on Sunday 30th September, a unique community project will complete an adventure around England, taking five months and the kindness of strangers to remove over 60 tonnes of plastic from our waterways, towpaths and countryside. Over 160 riders have taken part in The Waterbike Collective, a 1000-mile relay organised by The YesTribe, a community that uses social media to get people together in the great outdoors. 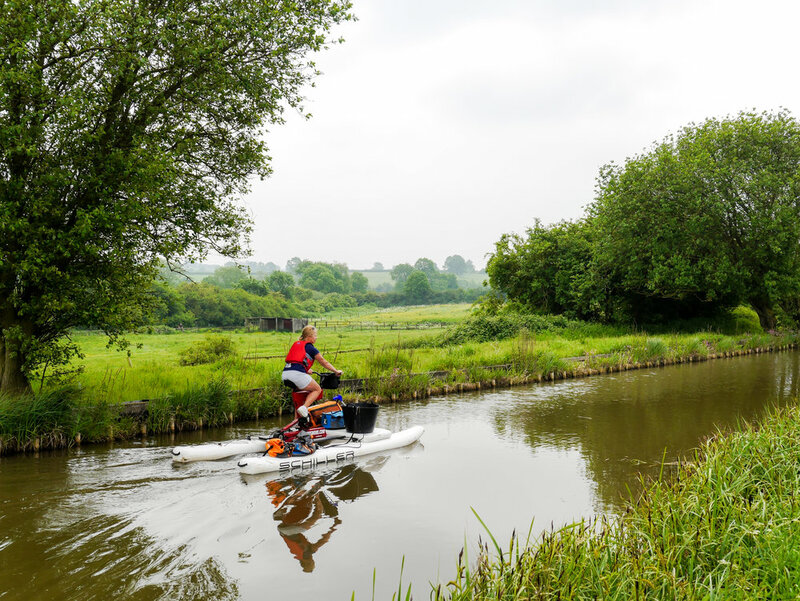 The inland journey around England’s rivers and canals invited a different rider each day to clean up a stretch of waterway, from the seat of a specially-made aquatic bicycle called a Schiller Bike. As the waterbike passed through major cities and through 25 counties, local clean-up initiatives and youth groups joined the adventure. The project was the idea of record-breaking adventurer and SayYesMore founder Dave Cornthwaite, who has broken world distance records on skateboards, paddleboards and, in 2017 during a 1250 mile journey along Norway’s coastline, on the same waterbike that has cleaned England’s canals this Summer. 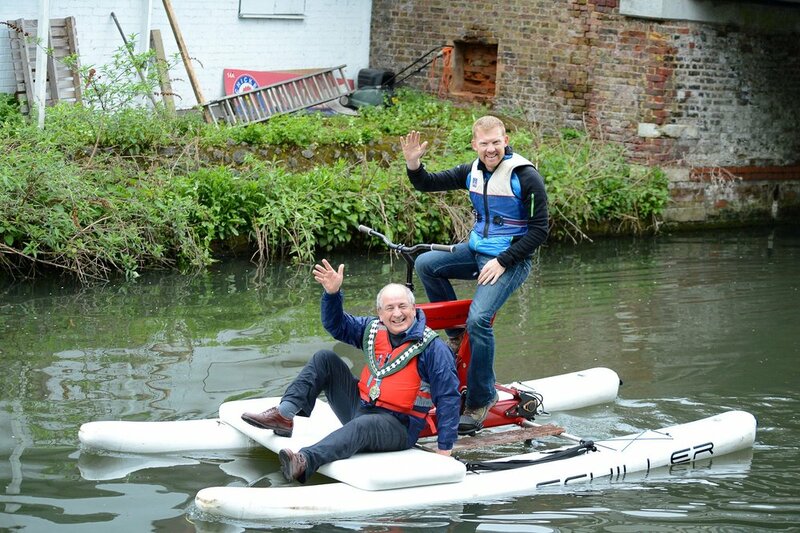 The Waterbike Collective will be finishing in Limehouse Basin at 3:30pm on Sunday 30th September, with many of the riders from the past five months coming to London to celebrate as the waterbike crosses the finish line.